Got a girlfriend who’s addicted to Grand Theft Auto V? Do you love watching your husband snipe virtual cops and rob fake banks? We want to hear from you! We’re looking for light, one-paragraph reviews by significant others of GTA V players for an upcoming Kotaku roundup. 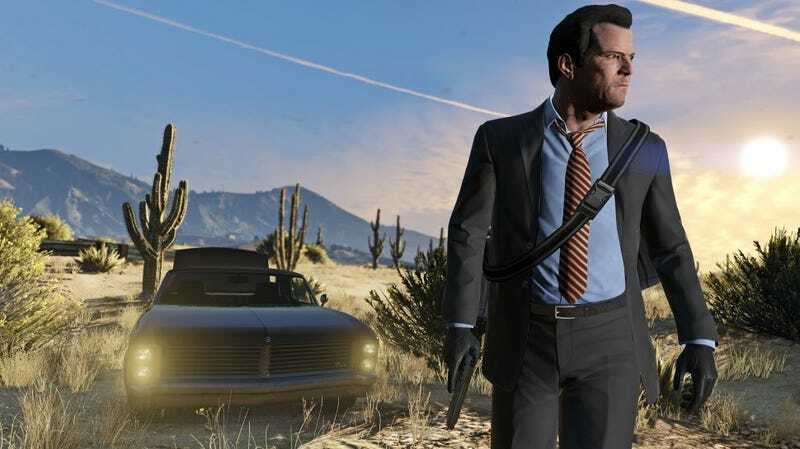 We want to hear observations, insights, and thoughts on Rockstar’s blockbuster, as written by people who have watched their loved ones play it. Incorrect and inaccurate descriptions of the game are acceptable (recommended, even). The more it makes us laugh, the more likely we are to feature it. If you’ve got a submission, send it my way. Remember: we’re looking for significant others’ thoughts, so if you’re the GTA player and your partner watches you play, we want to hear from them, not you.